BOSTON [March 18, 2011) -- The NOVA science series announced today plans to team up with Pioneer Productions to produce “Japan’s Killer Quake,” an original one-hour documentary that takes viewers moment by moment through Japan’s devastating earthquake and tsunami. The film is slated to air Wednesday, March 30th at 9PM ET/PT (please check local listings) on PBS. 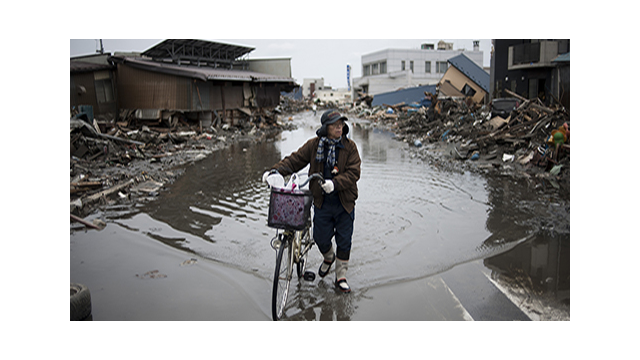 Through first-person accounts from those who survived and from experts and scientists currently on the scene, “Japan’s Killer Quake” gives scientific context to the chain of events responsible for one of the most destructive disasters in recorded history. “This gripping new NOVA will examine the chain of events — from the earthquake to the tsunami to the on-going nuclear threat — to show how this disaster unfolded and explore ways in which science might protect us from a similar fate in the future,” said NOVA’s Executive Producer Howard Swartz. NOVA and Channel 4 in the UK have commissioned Pioneer Productions — who also worked with WGBH/NOVA to produce “Emergency Mine Rescue,” the absorbing documentary chronicling the unfolding events of the Chilean mine disaster — to produce “Japan’s Killer Quake.” Nigel Henbest will produce the film. Howard Swartz, NOVA Executive Producer, will oversee the project for WGBH/NOVA. The Commissioning Editor for Channel 4 is David Glover.